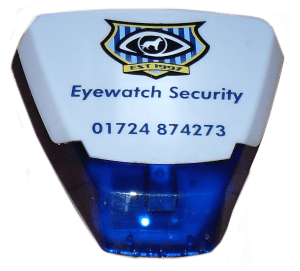 If you’re a home owner, and interested in our security services for your property, or perhaps you feel let down by your current security alarm provider, please don’t hesitate to call us. We pride ourselves on solutions fit exactly for purpose without undue overselling. We provide residential, commercial and industrial alarm systems from our Scunthorpe office. Ranging from scaffolding alarms ideal for the construction industry, to void property alarm systems ideal for estate agents. Providing essential perimeter protection for your properties. Being an SSAIB approved security company we pride ourselves on being able to offer an extensive range of services. With some of our alarm installations Eyewatch Security can liase with your local constabulary to offer police response services.